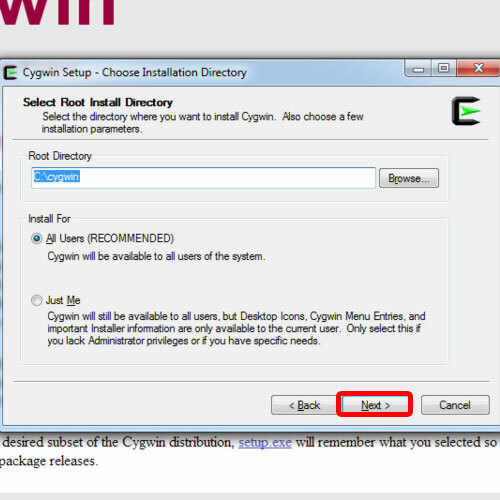 In this tutorial, we will show you on how to install Cygwin to windows. Cygwin helps integrating applications on different environments, for example windows and Unix. It uses a command line interface for all the operations. 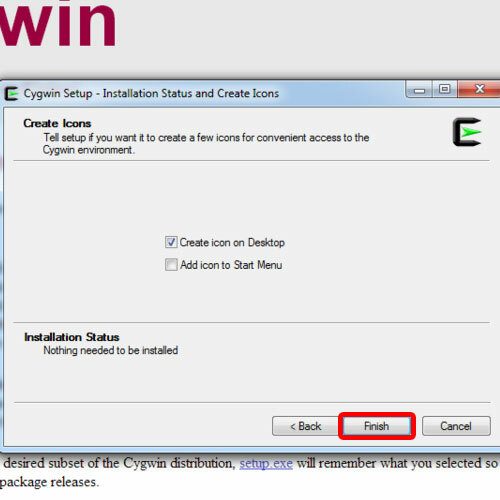 By following these steps you can install cygwin on windows 7. 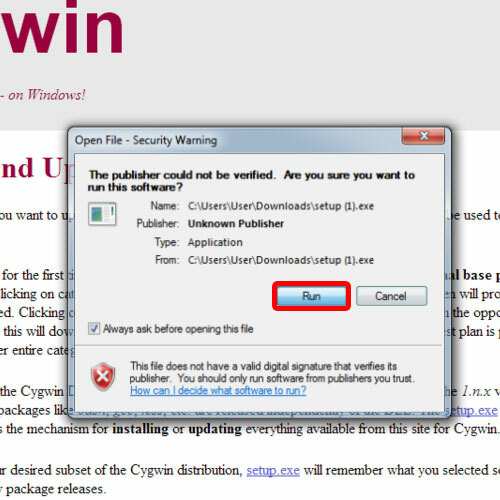 To get the setup file, log on to http://cygwin.com and download the setup from there. 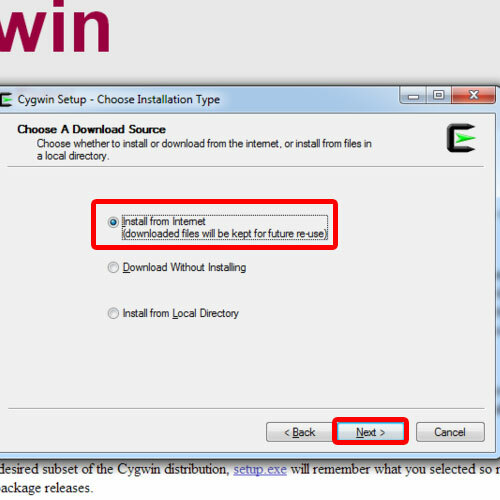 It is very easy to install cygwin to windows, once the application has been downloaded, open up the installer to launch the setup. A security warning window will open up, asking you whether to run the software or not. Simply hit Run to continue with the process and the welcome screen will open up. Once you hit next, you would have to choose whether to download and install the application or install it from a local directory. Over here, we will choose the first option and hit next. Now we will have to specify the root directory and then the user. Let’s leave the default options as it is for now and hit next. After that, you have to specify the location for the packages directory. For this tutorial we will be leaving this option as it is and move on with the process. Now you will have to specify the proxy settings, if any. As we won’t be using any proxy server, we will choose the “Direct Connection” option and hit next. Next, you would be asked to choose where the application has to be downloaded from. Choose any one of the site from here and move to next step. After that’s taken care of, the setup will start downloading the files. Next the select packages window will open up where you can manually select the packages to be installed. If you don’t require any package, you can exclude it from here. 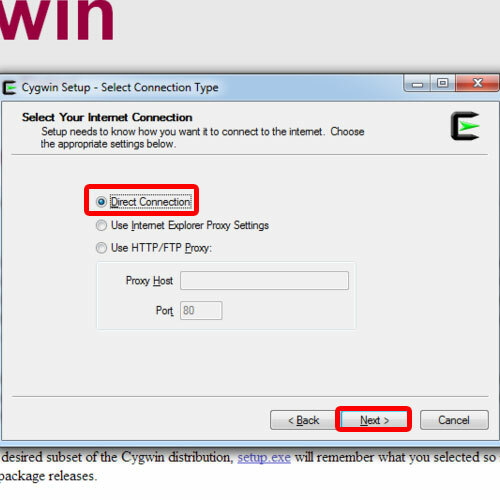 Let’s leave the default settings as it is and move on with the process..
After that, the cygwin setup will be completed. Hit the finish button and let’s open up the Cygwin terminal. As you can see, the terminal has been opened up, ready to be used. 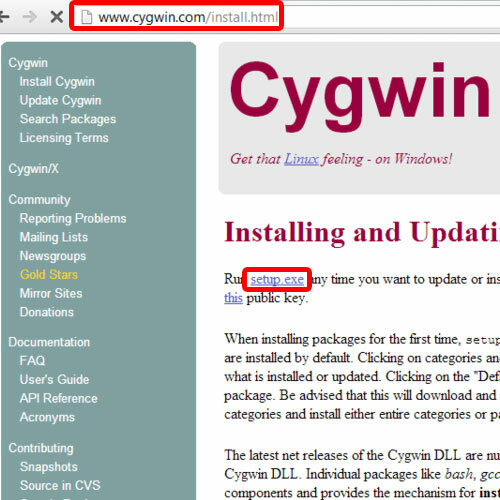 And that’s how you can install cygwin on windows 7.